Some people rent the house they live in. Some people have no choice but to rent, however in business its always better to OWN your own properties and websites are your website business properties. You can post articles on article directories, videos on Youtube and bites of information on Facebook although the problem with this is, what if Google, Facebook or the owner of the website decides they don’t like your content anymore? Or maybe they change their business model and your content is no longer appropriate and take your content down? You lose all your work! Its still a very good idea to post on article directories, forums and use social media to attract your prospects attention, although the whole purpose of posting on websites you don’t own or control is to bring your prospects back to read content on YOUR website. When you host your own website you’re the owner of YOUR website and YOU make the decisions about what YOU want to do with it. With that said, hosting costs real money but from as little as $5 per month, its well worth the investment if your serious about making money online. Once you have your own website with content it become an asset you own. You can build upon your asset or even attempt to resell your asset to other online marketers, so its a good idea to begin to build your online business starting with your own website as a base. This video reveals how to get your hosting account up and running.. 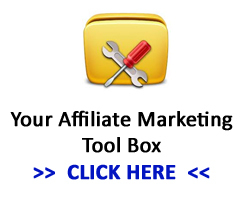 This entry was posted in Affiliate Tutorials, Beginners Guide to Affiliate Marketing and tagged Hosting on May 10, 2013 by Admin.